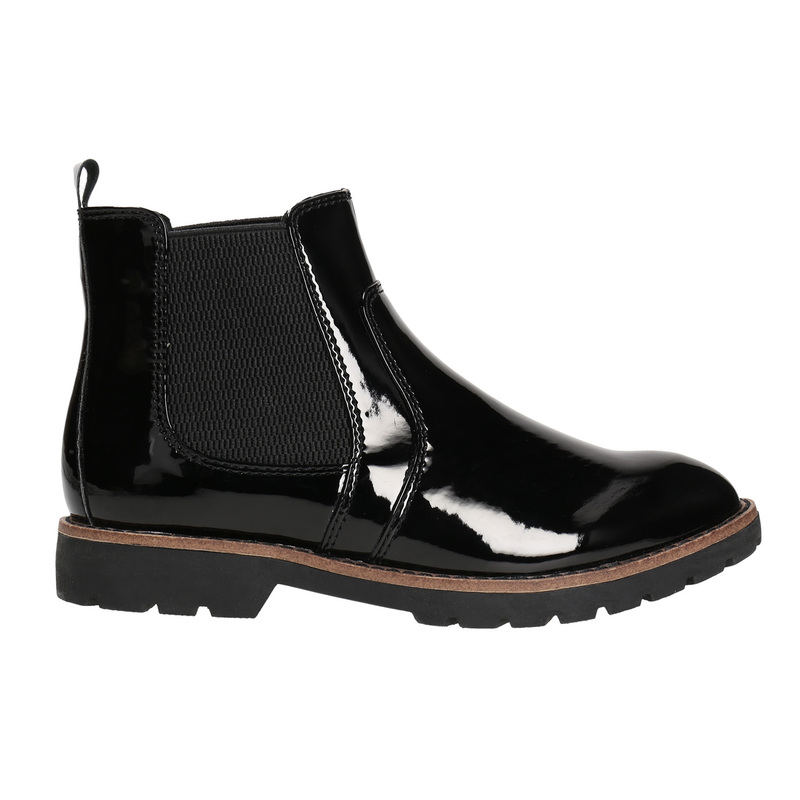 The eye-catching sole is a trend which looks good here with the classic Chelsea Boots style. 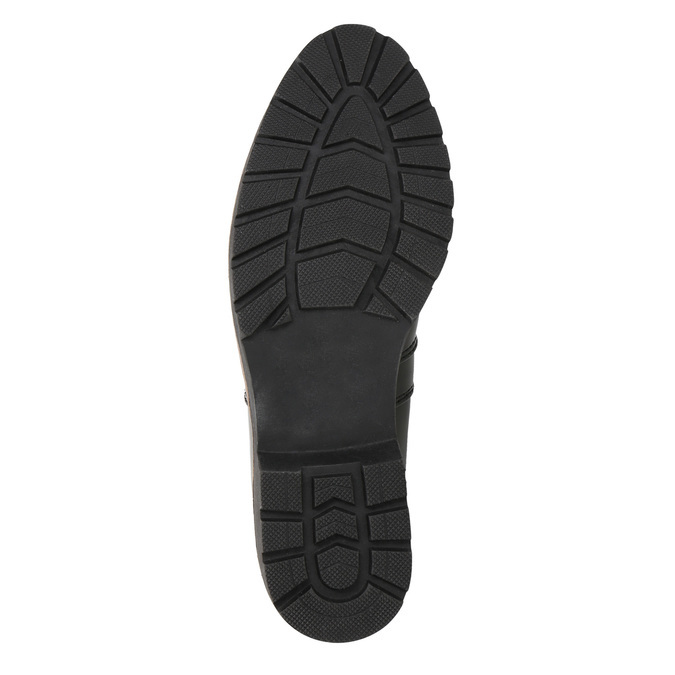 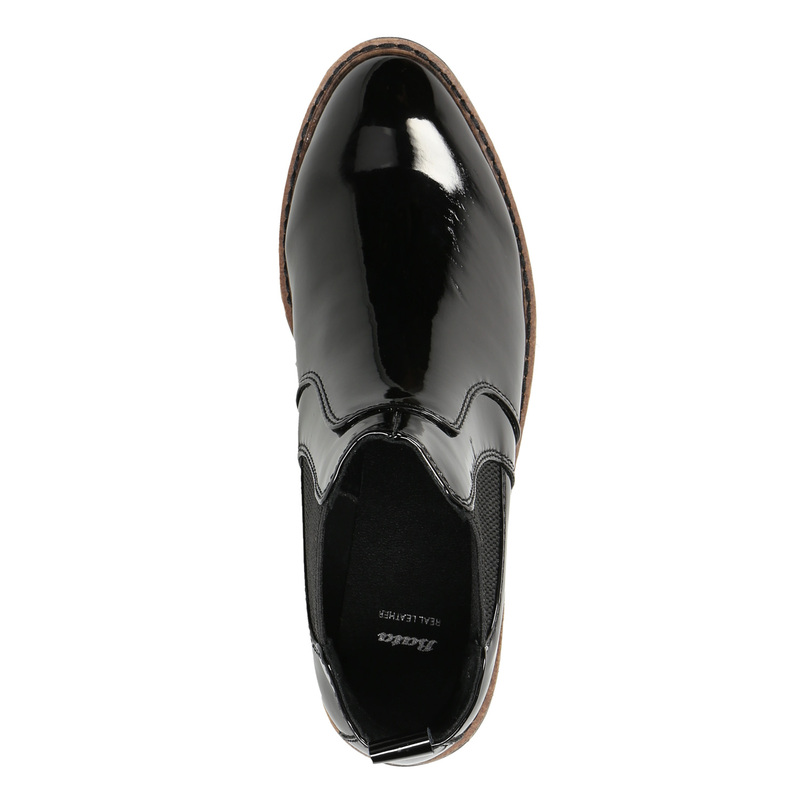 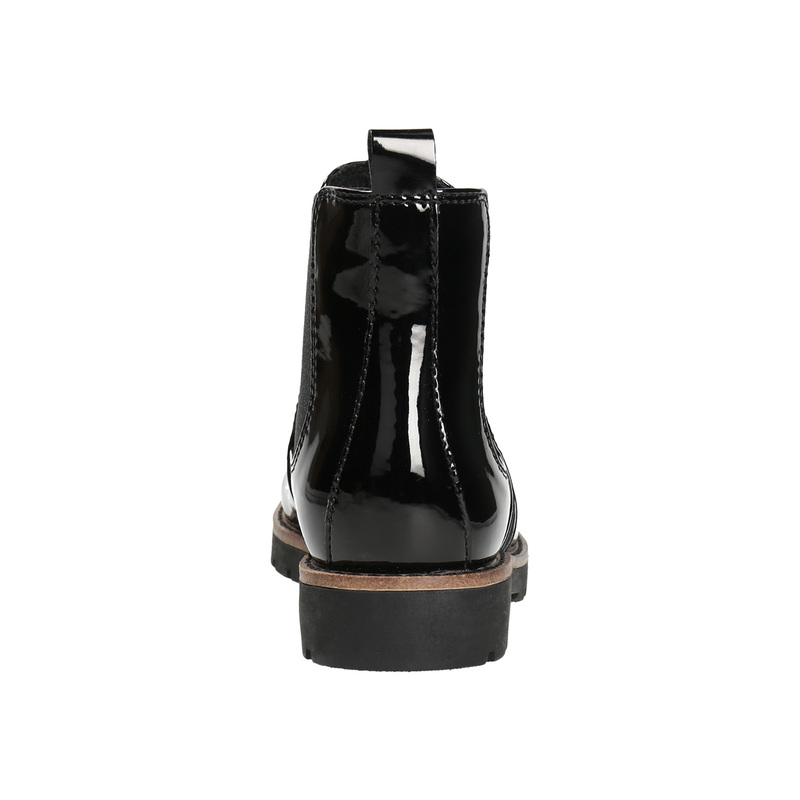 The patent leather upper makes these boots unique and contrasts with the brown edging around the sole. 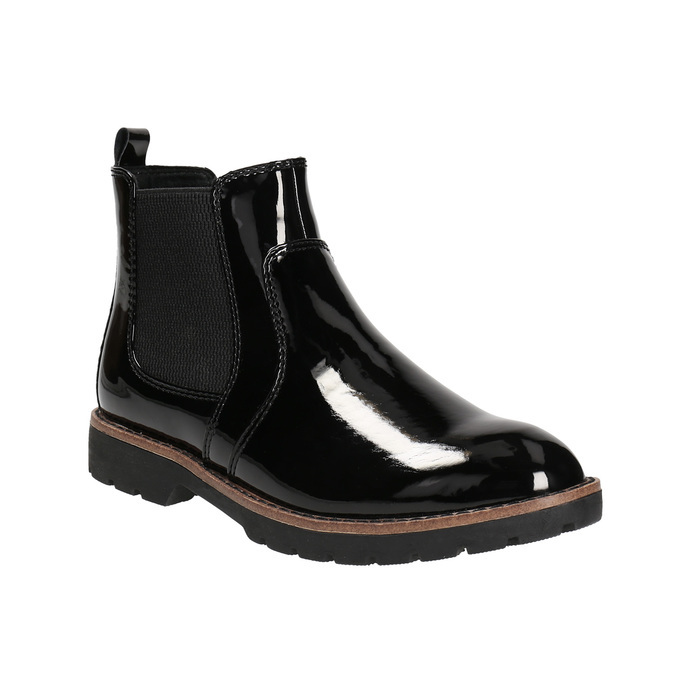 This model is ideal for rainy autumn weather and looks best with skinny jeans, which you can turn up above the ankles.